OUR GOAL is to win a gold medal for the United States of America at the 2016 Olympic Games in Rio in the 49erFX. In doing so, we hope to represent our country and our sponsors with the utmost integrity and sportsmanship. We hope that along the way, we can empower young women to fulfill their goals and inspire the next generation of athletes, particularly sailors. Ever since the Sydney 2000 Olympic Games, men have been able to race a high performance skiff named the 49er. However, the Rio 2016 Olympic Games will be the first Games ever to include a high performance skiff for women. In spring 2012, it was announced that this boat would be the FX. 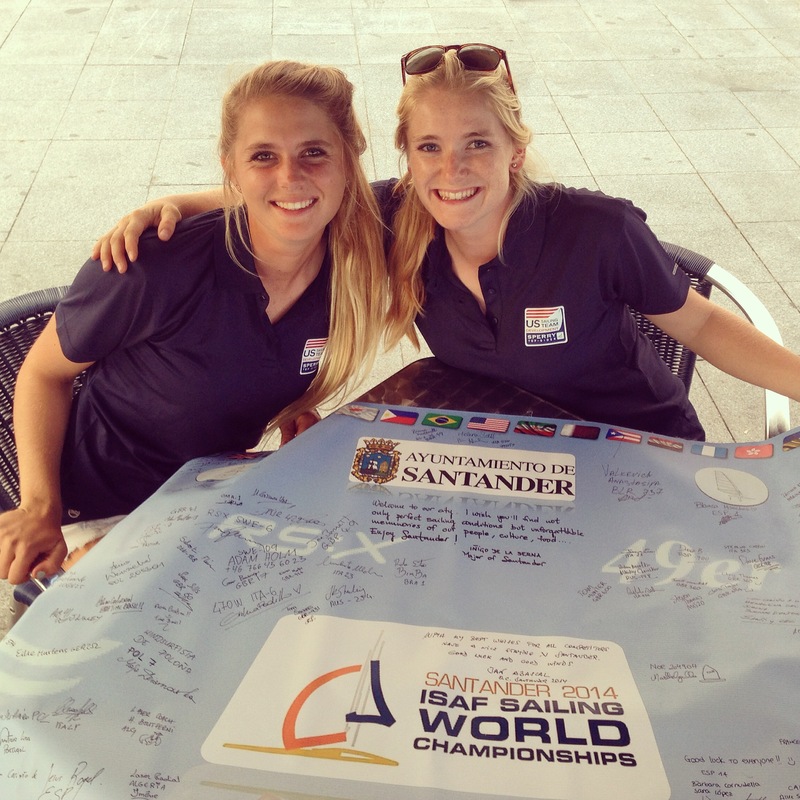 In summer 2013, we joined forces because we have the same passion for skiff racing, commitment, and competitive drive that it takes to be Olympic champions. We have raced against each other in the 29er since 2008 and for several years, Paris was the top American female 29er skipper and Helena was the top American female 29er crew. Now we get to compete together on the world stage. Our combination of youthful energy and skiff sailing experience in the new 49erFX class is a force to be reckoned with. Ever since teaming up, we’ve been immersing ourselves in the many aspects of Olympic sailing that it takes to be a champion: fitness, nutrition, technical expertise, tactical and strategical knowledge, the list goes on. We’ve also overcome significant setbacks: while racing at the World Championships in September 2013, Helena was hit by a boat that broke her spine and two ribs and lacerated one kidney. It was a serious wake-up call to the risks involved in racing high-performance boats at the world class level. She healed miraculously well and time off the water only strengthened our drive to pursue our sailing goals. Until December 2014, we had to balance being full-time students with our campaign, but now we are full-time training for the Olympics. It’s the journey of a lifetime. We’re confident. We’re excited. And we hope you’ll follow us all the way to Rio. This entry was posted in 49erFX and tagged Cover. Bookmark the permalink.